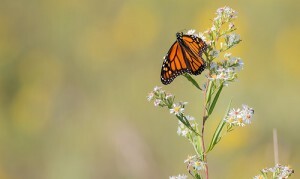 What would it take for a Nebraska corn farmer to grow milkweed for monarch butterflies? EDF is working to develop the Monarch Butterfly Habitat Exchange to engage the agricultural community in the fight against extinction. Virtually every farmer and rancher in America has room for conservation on their land. But deciding whether or not to enroll acres in a conservation program requires just as much business sense as deciding which crops to grow on other acres. It’s a matter of cost and return on investment.